This women's belt by Nanette Lepore has her signature bold, geo-tribal look and adds instant style. 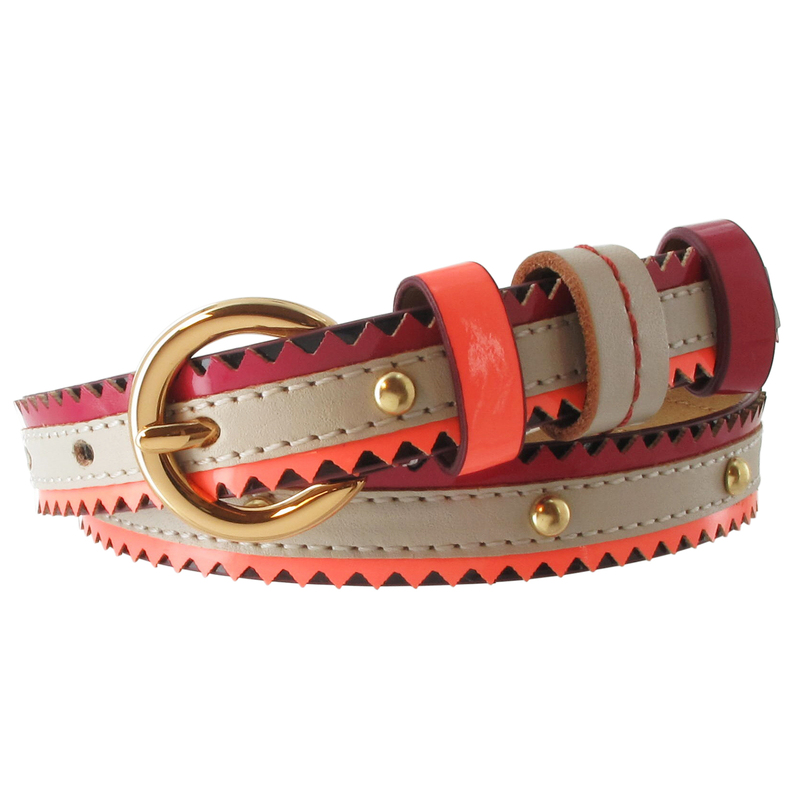 Intricate leather detailing makes this skinny belt a true statement piece. Nanette Lepore's bohemian designs are highly regarded in the fashion world. Fits waist size 32" - 36".